I don't know the reputation of these apartments on the block. Although ugly, they may have provided cheap housing for those wanting to live in a vibrant area close to good jobs, schools and recreation. 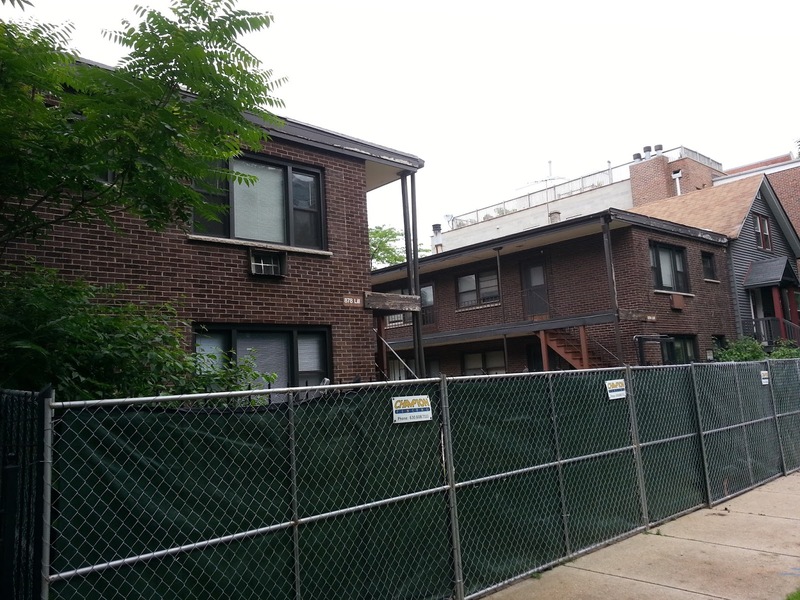 Green fencing spells doom for the regrettable 1960s courtyard apartments on the 800 block of West Lill, Chicago IL 60614. 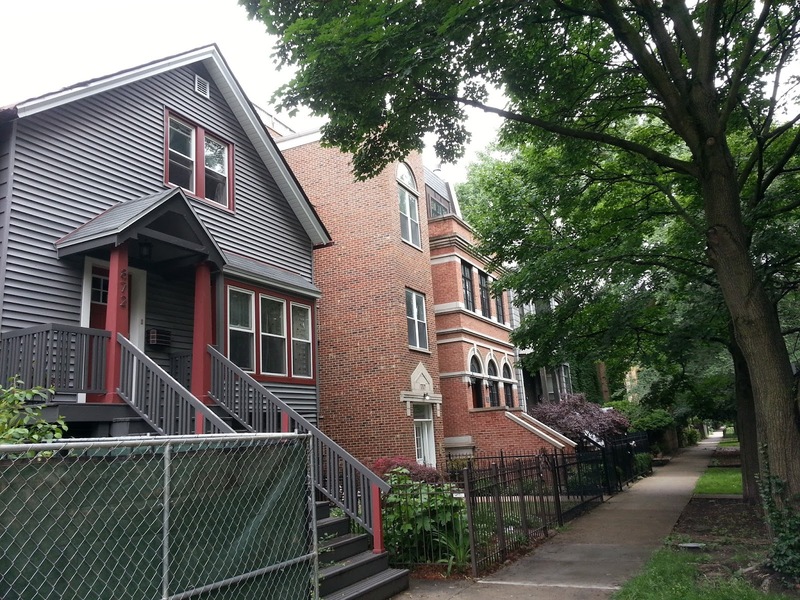 Public records show the apartment complex was sold late last year for $2,750,000. 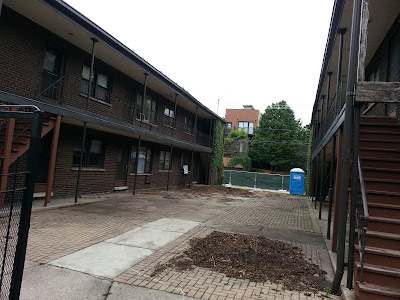 The multi-unit apartments sit on about three city lots fronting Lill. A construction permit has been issued for a three unit building at the 878 West Lill address. The 800 block of West Lill has a mix of residential housing ranging from million dollar single family homes to $1,500 a month rental apartments. 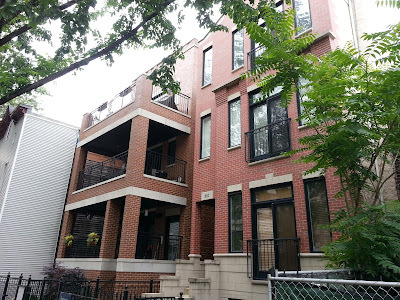 The development above may total about 9 new condo units typical for this Lincoln Park location. The first three unit condo building is permitted for the 878 W Lill address and I assume two more will be built on the remaining lots. Condo buildings typical to the area and constructed in the 2000s sit adjacent to the west of the new development. A small frame single family home sits just to the east of the development. A new construction two bedrooms, two baths condo unit with garage parking and high-end kitchen sells in the $500s. Top floor units with full roof deck sell in the $600s.